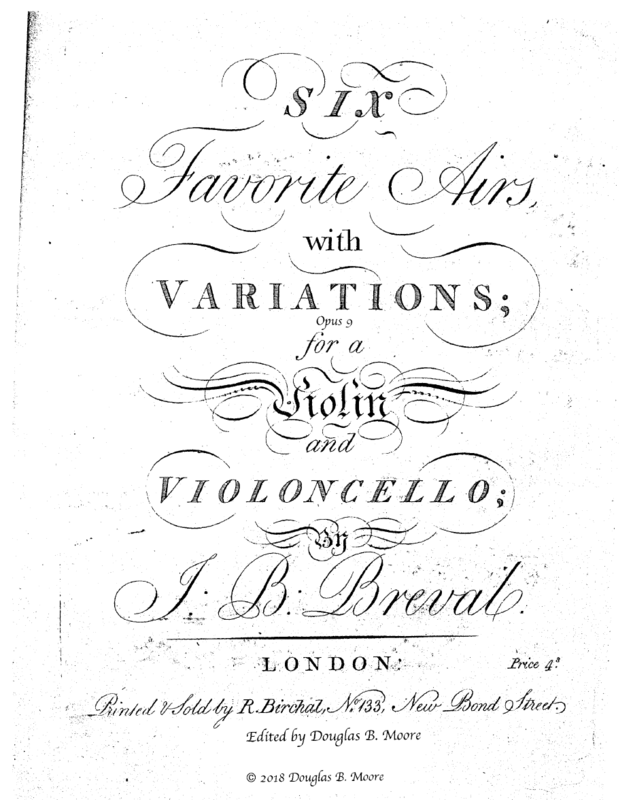 Bréval: 6 Favorite Airs with Variations, Op. 9, for Violin and Cello. Facsimile of edition from early 1780s (parts only) and modern performing edition, score and parts. The Six Favorite Airs with Variations are subtitled "Introduced by Mrs. Jordan in The Spoilt Child," perhaps a popular play of the time. Each short Air is followed by a few variations with equality between the violin and cello parts, and the difficulty varies from intermediate to difficult. Purchase includes facsimile of original parts, and modern score and parts.